This entry was posted in Australia Australia Immigration Visa and tagged Australia Australian PR citizen Citizenship Visa on June 15, 2015 by Blog Author. 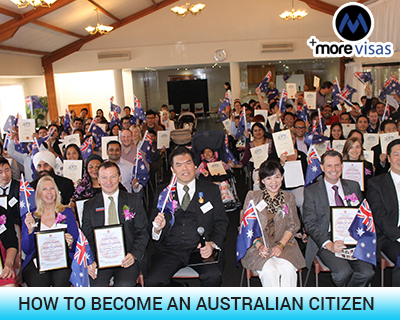 Australia, the land of ideas and opportunities has rolled out as an incredibly popular destination for immigrants. This kangaroo land offers ample number of pretty good opportunities for an individual dreaming of migrating to overseas. Its booming economy, excellent education system and quality lifestyle make most overseas applicants to opt for Australia Immigration. Have any plans to immigrate to the Down Under and get the Australian Citizenship? If yes, look no further; choose to migrate to your dream land through skilled visa categories that will help you in attaining the permanent residency. Skilled Independent visa (subclass 189): It is valid for skilled professionals who do not hold any sponsorship from a relative or an employer or not been nominated by a territory or state government. Skilled Nominated Visa (subclass 190): It is applicable for trained workers with special qualifications and skills and been nominated by a territory or state government. Why apply for Permanent Residency? An overseas individual planning to become an Oz citizen need to reside in the province for a minimum duration of at least four years on their valid visas including as a permanent resident for one year. In the four years tenure, he or she is not recommended to be absent in the province for more than one year and not more than 90 days prior to the filing of an application for citizenship. Individual attaining the citizenship of their dream land will have an opportunity to vote in state or federal elections. If you are interested to apply Australian visa, fill out our Enquiry Form, so, one of our visa expert will get back to you.